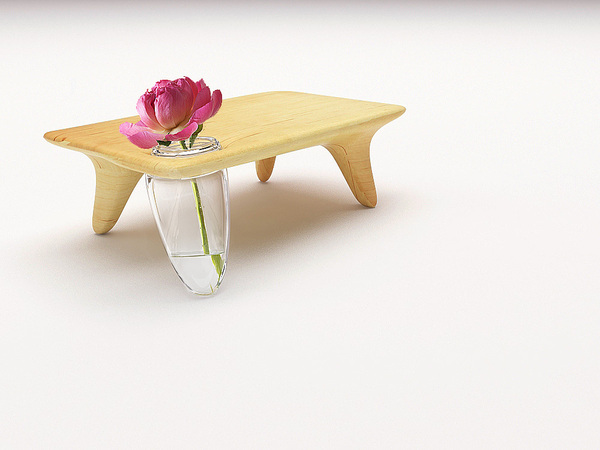 Flo table mostly refers to emotional design. 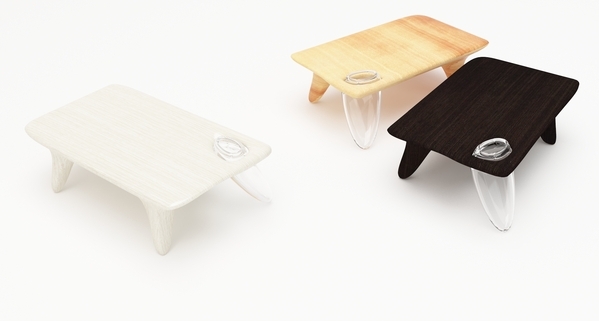 One of its leg is made of transparent glass, in a shape of a vase, which encloses function and pleasant aesthetic and the rest is made of wood of various types with very sleek connection between the top surface and the legs. It’s supposed to be used as a separated table which can be brought to bed or the additional piece of furniture over your common work space.